Being busy is not an excuse to not eat healthy food. Unipak shared some of their recipes and I had to try it, too. Putting a twist to an ordinary omelette were such a hit with my fambam and it became an instant favorite. 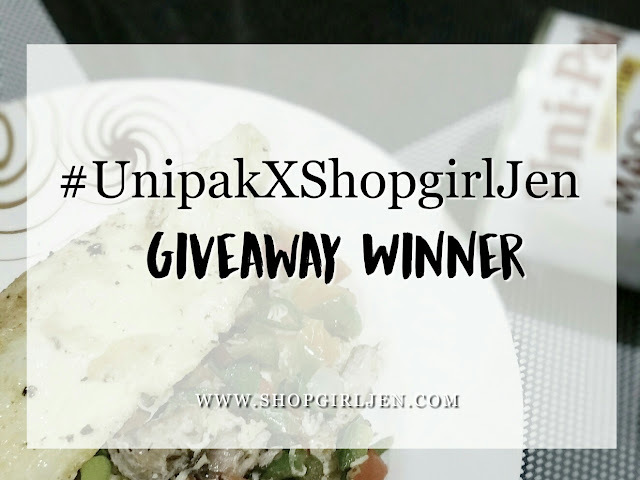 Also, I am announcing the winner of #UnipakXShopgirlJen giveaway. 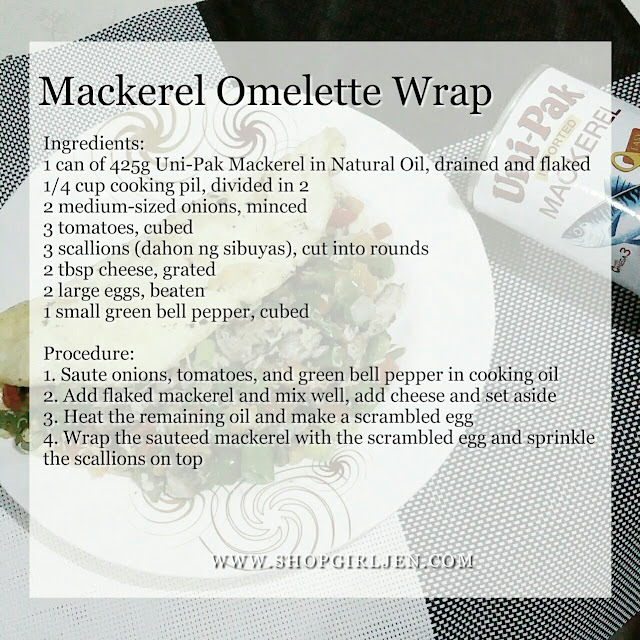 Made the Mackerel Omelette Wrap for the family and I'm amazed how easy to make it with Unipak. Of course, keep in mind na basta mackerel #TatakUnipak dapat! And withouth further ado, one of you my loyal readers will win this Unipak goodies! Please email me your Name, Shipping Address and Mobile Number with the subject UniPak Winner at shopgirl_jen@yahoo.com. To everyone who joined, thank you so much for your support. 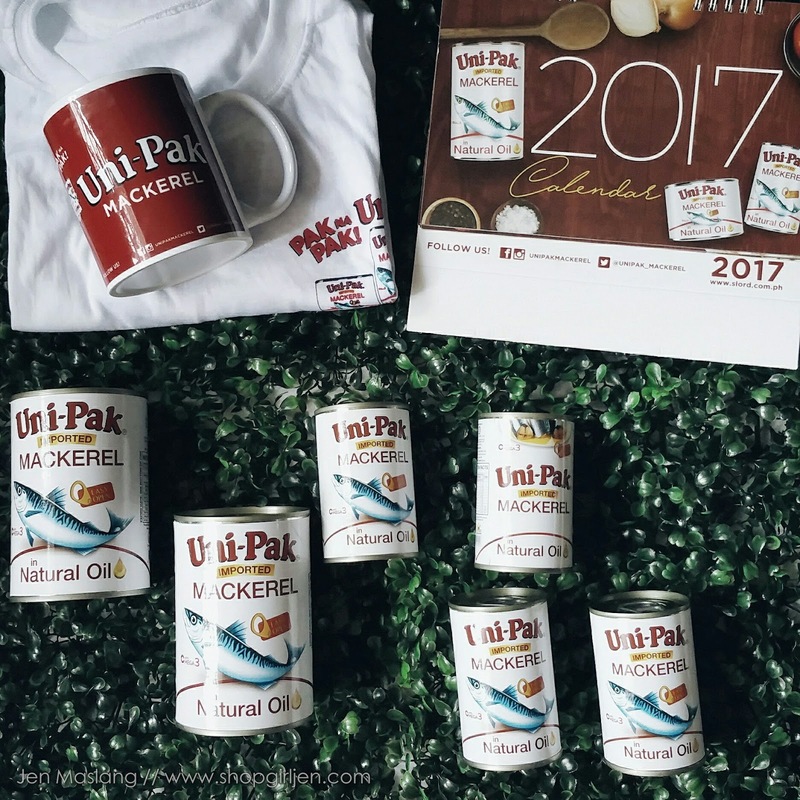 Thank you UniPak for the trust and for sponsoring this giveaway. As promised in my Instagram and Facebook Fanpage, this month of October, I'll be launching a series of giveaways to celebrate my babies birth month. Wooohooo!!! Follow #TeamSofIshaGiveaway for more updates. Stay tuned!